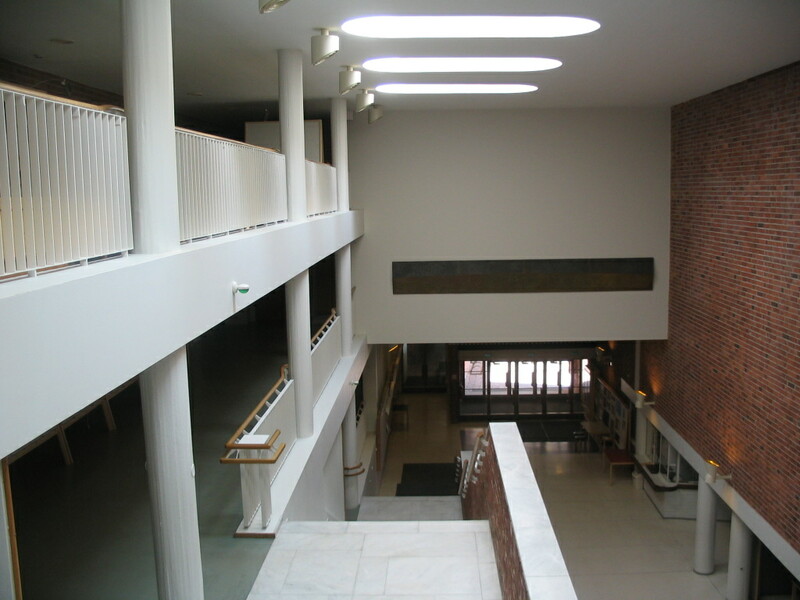 Jyväskylä University is one of the top universities in the country. 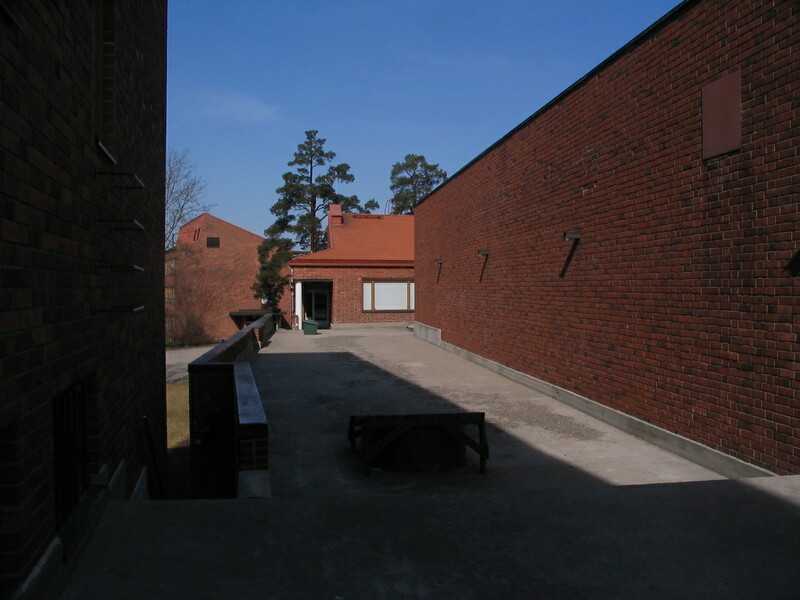 Many of the buildings on the main campus were designed by Aalto (who came from Jyväskylä) and built in the 50s. 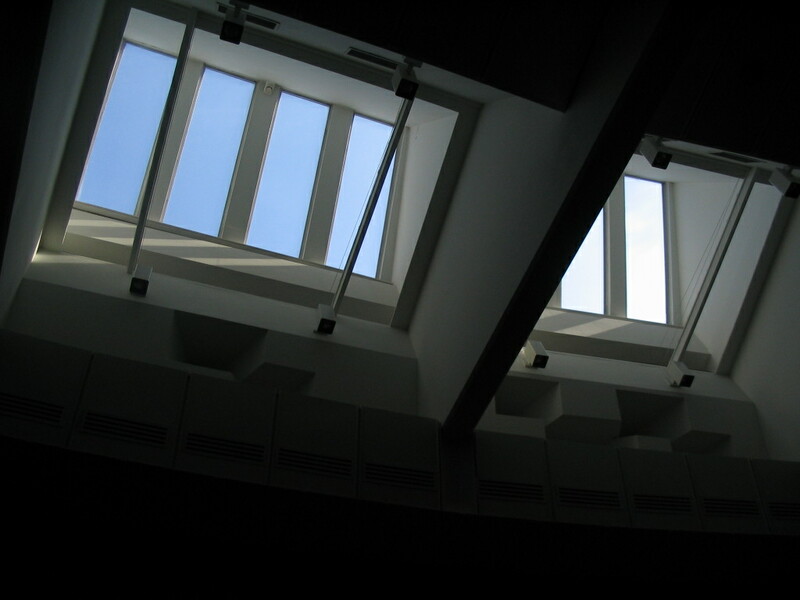 Some of the spatial relationships in these are inspired by the Acropolis or Mediterranean hill towns. 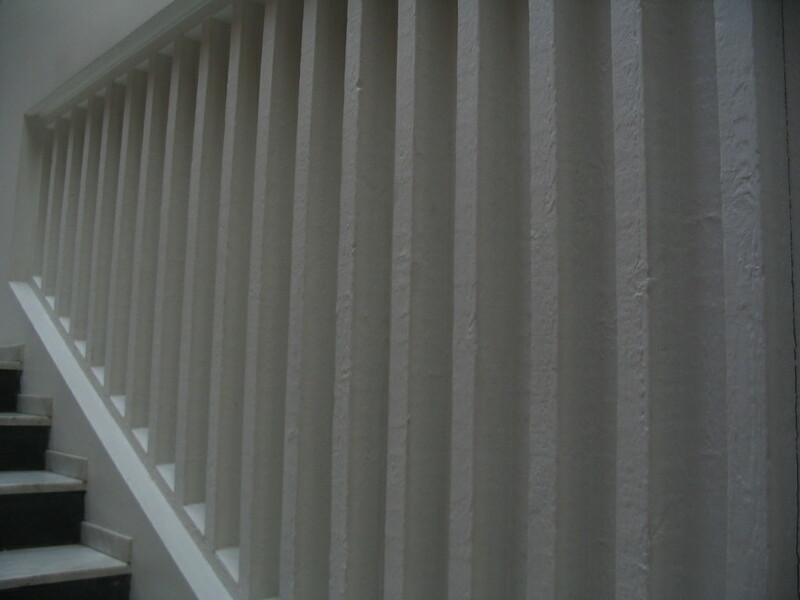 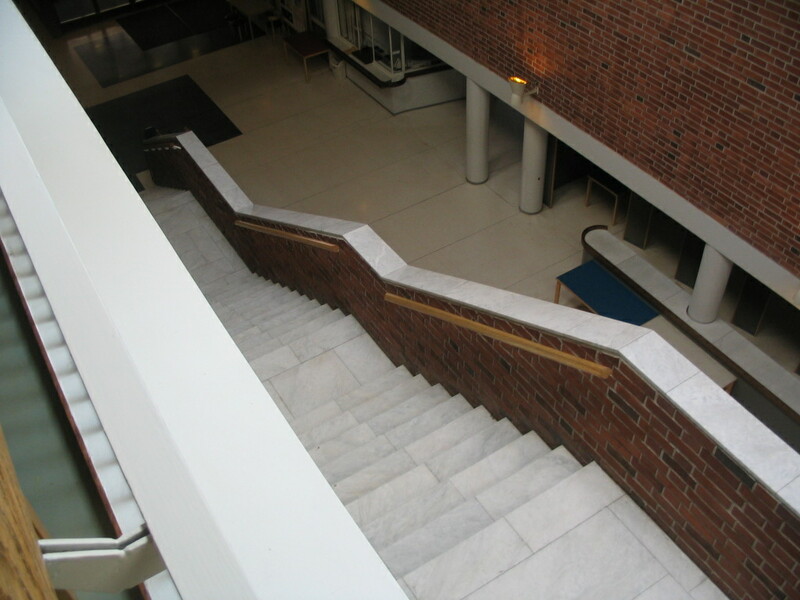 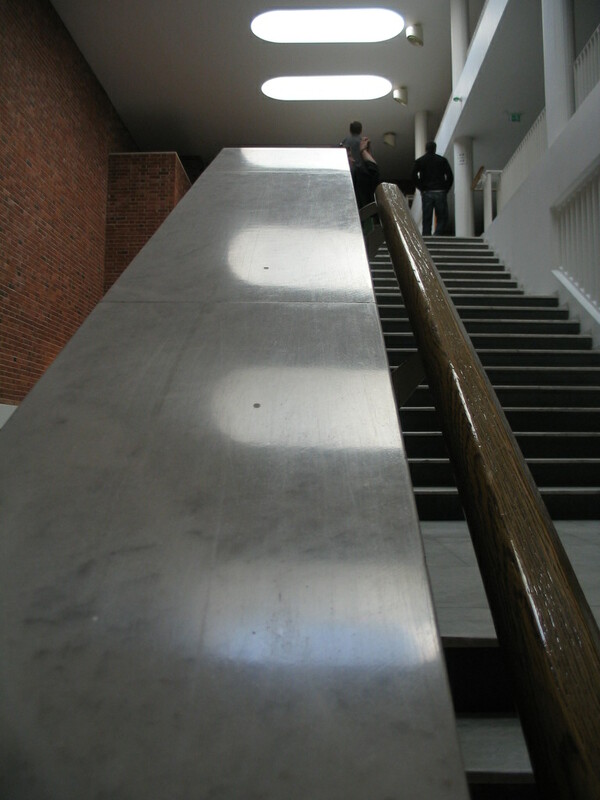 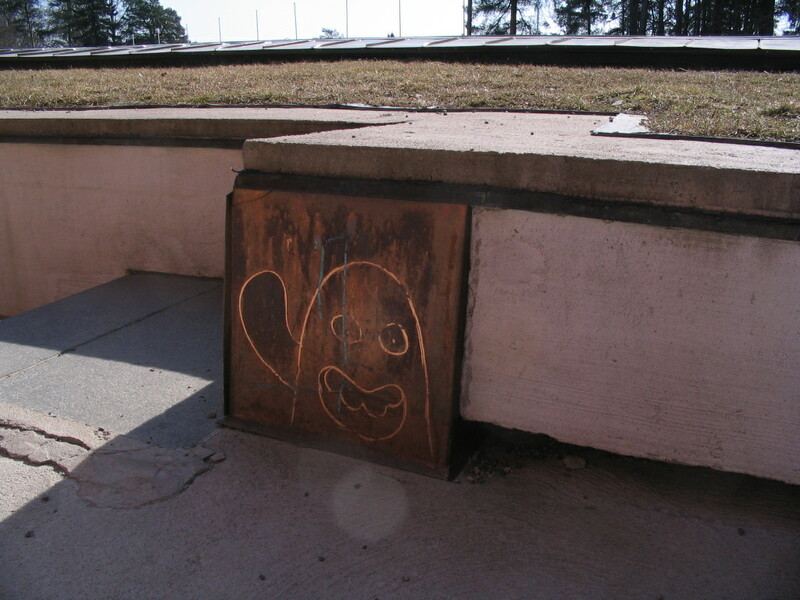 A well-known hillsome stair in the main building. 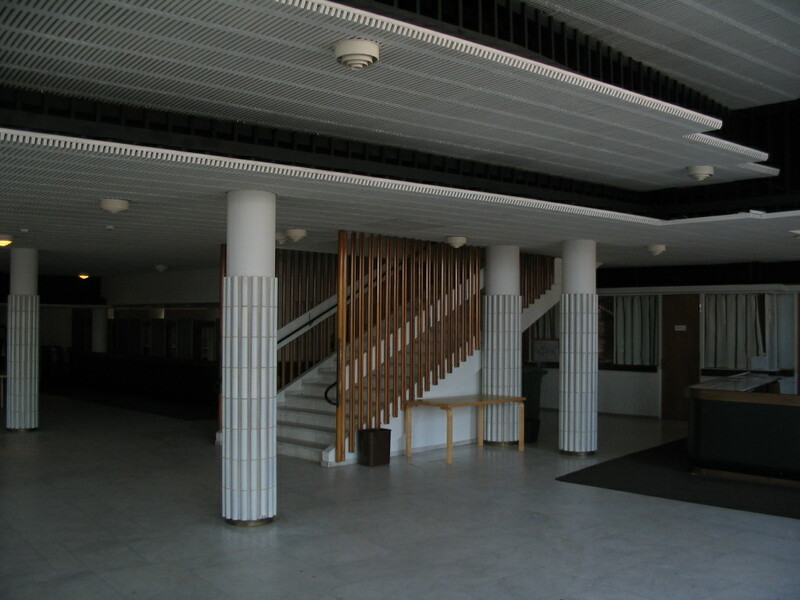 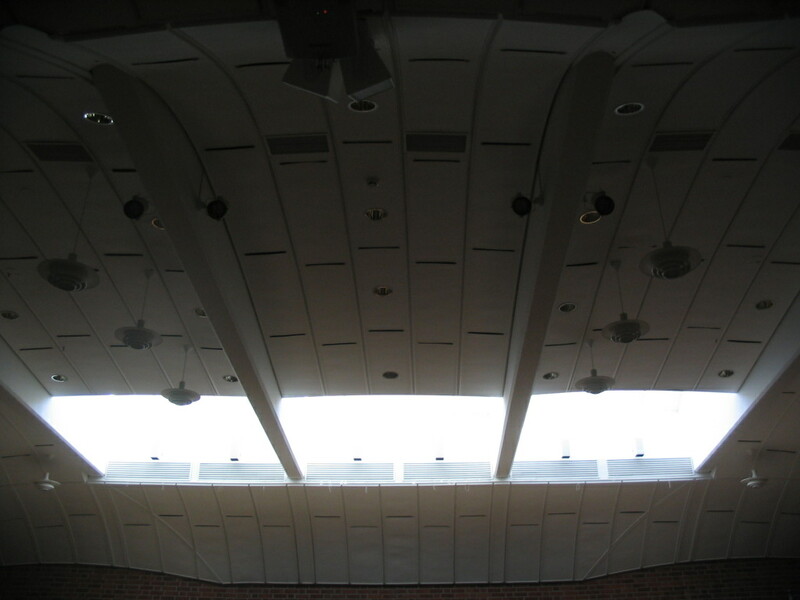 Some instantly recognizable Aalto details in the foyer of the main building. 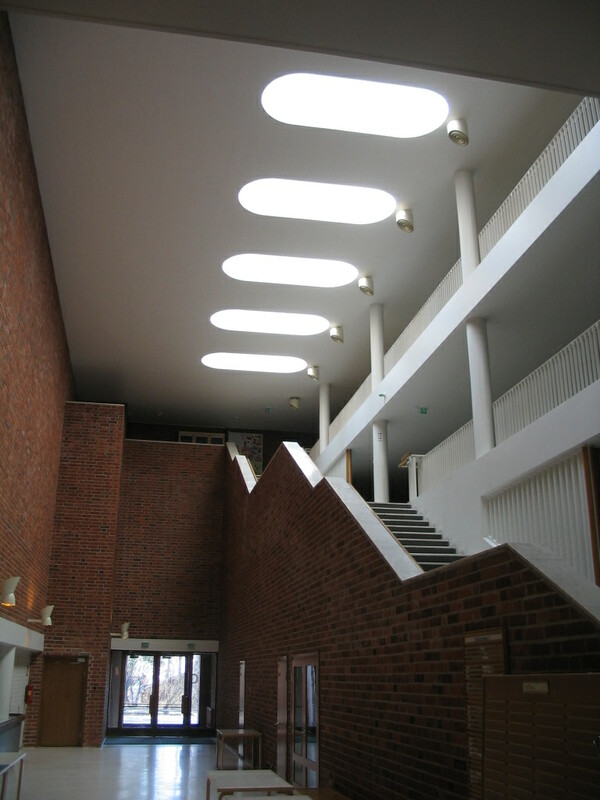 Looking back down the stair. 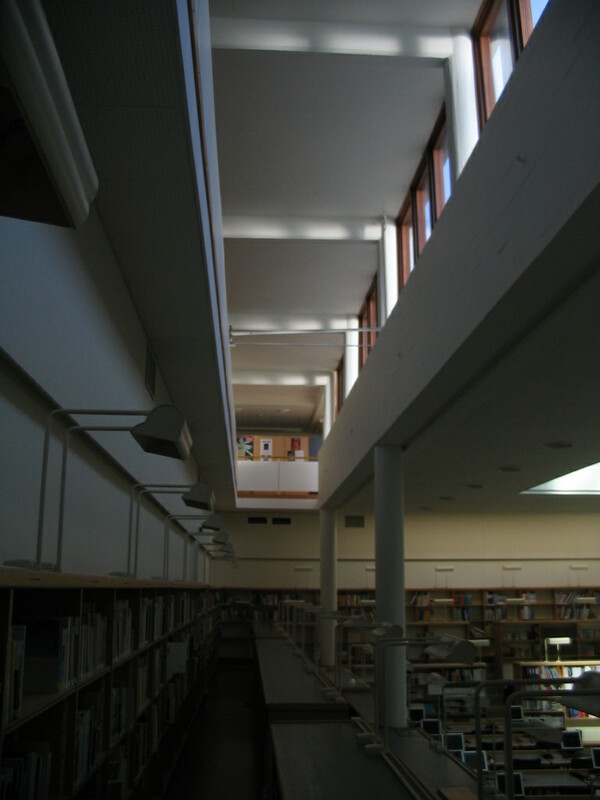 The view out from most of the way up. 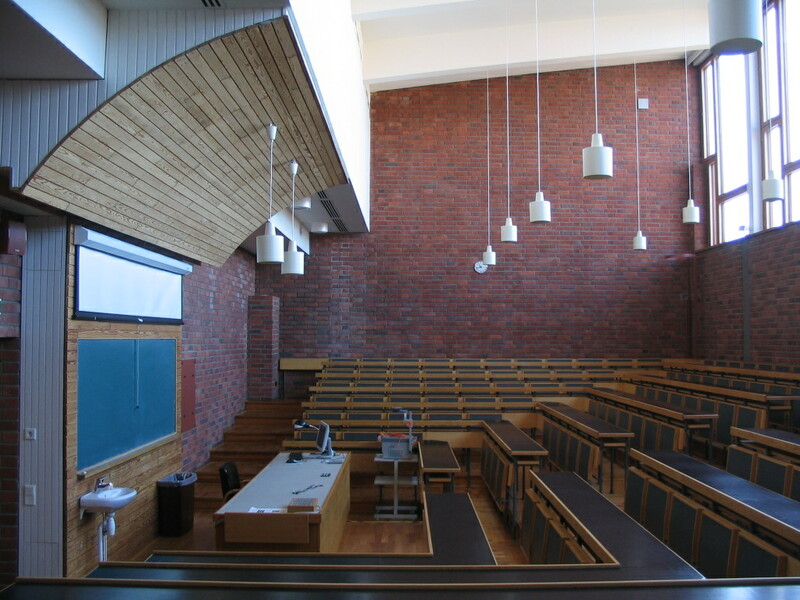 The section of a classroom. 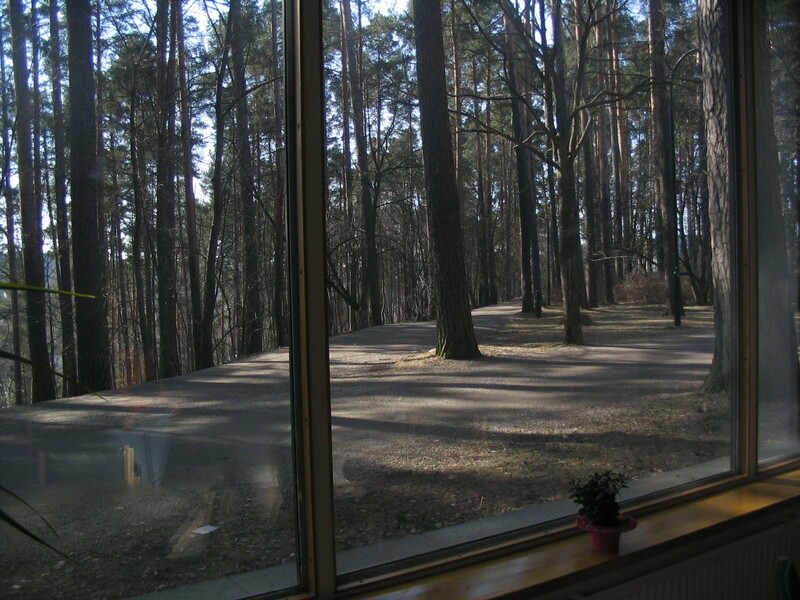 The view out from the cafe/lounge area of the main building. 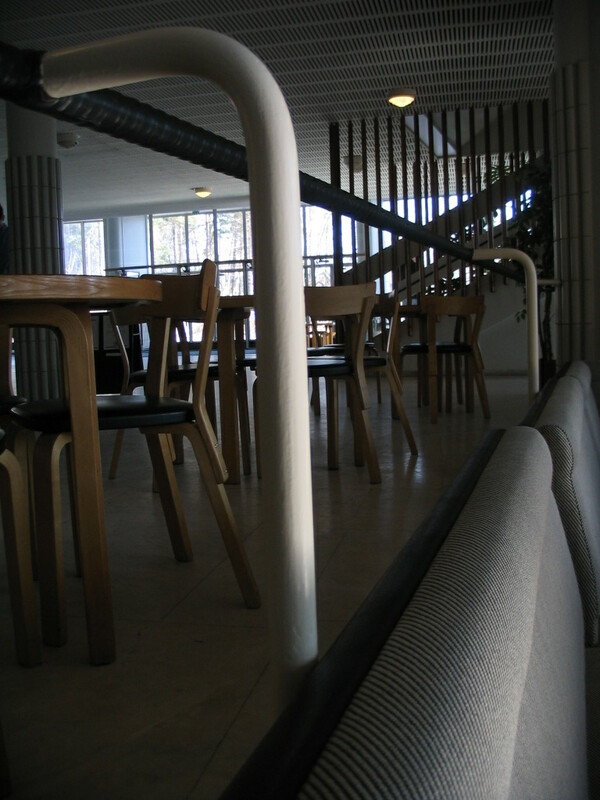 The lounge is sunken below the level of the dining tables. 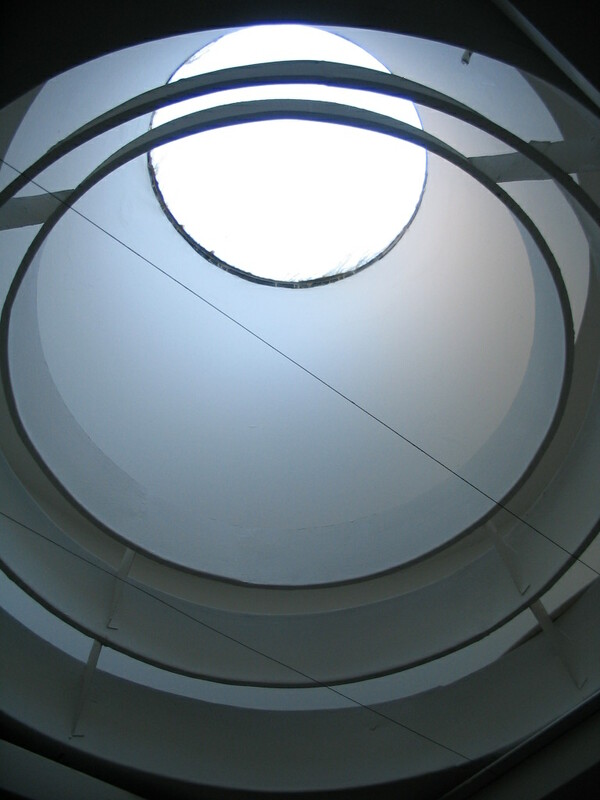 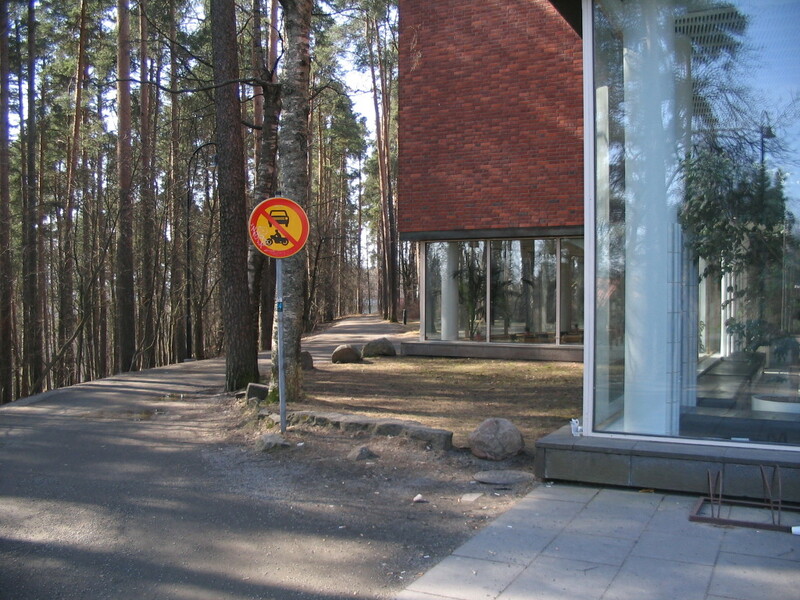 The path along the main building as previously viewed from inside. 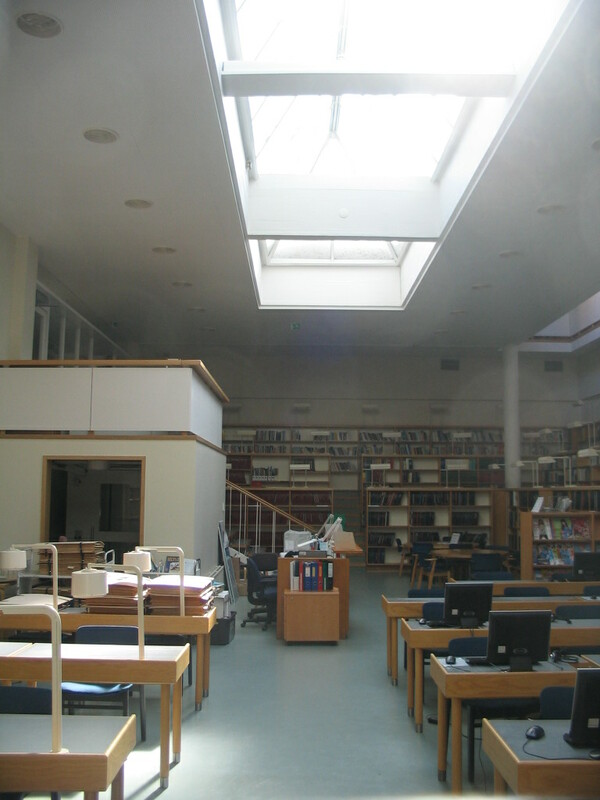 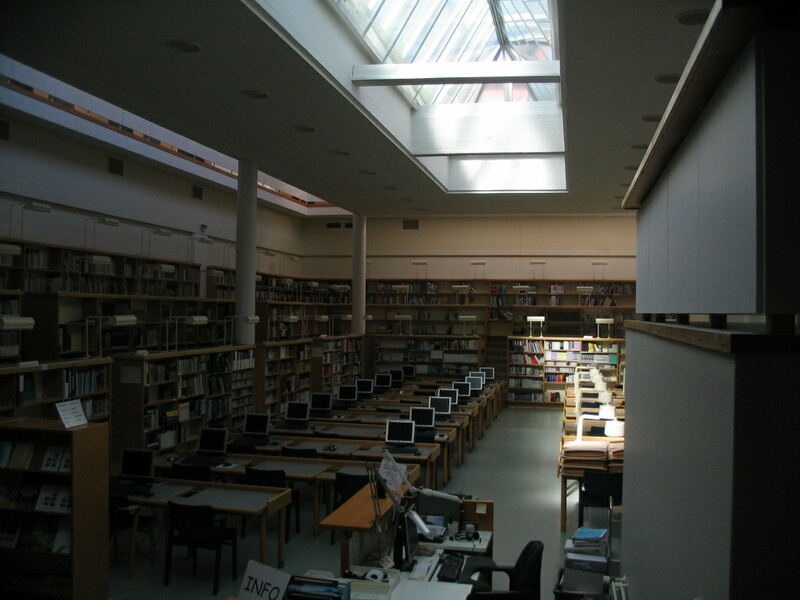 The library, with a similar configuration to the Rovaniemi library and others.